Hello my friends! 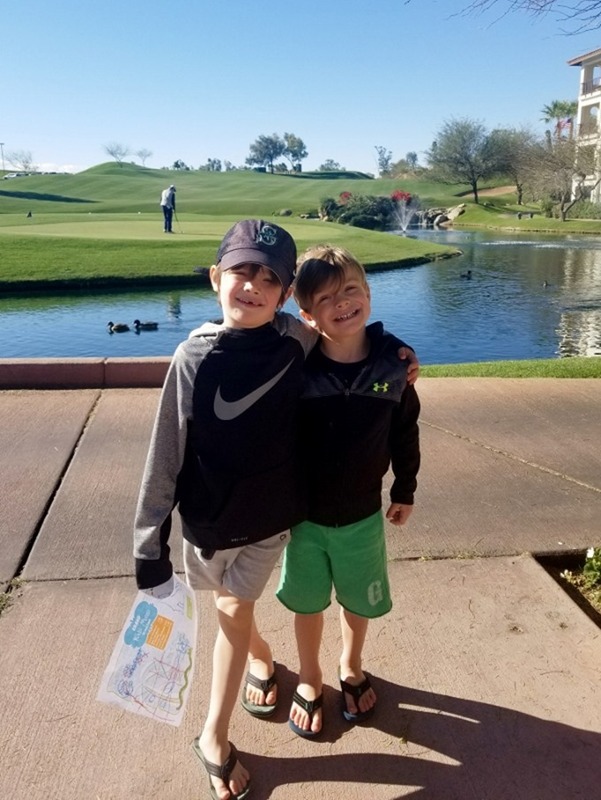 We are back from a wonderful adventure in Arizona! It was a very last minute trip for us – planned in the midst of our February blues. 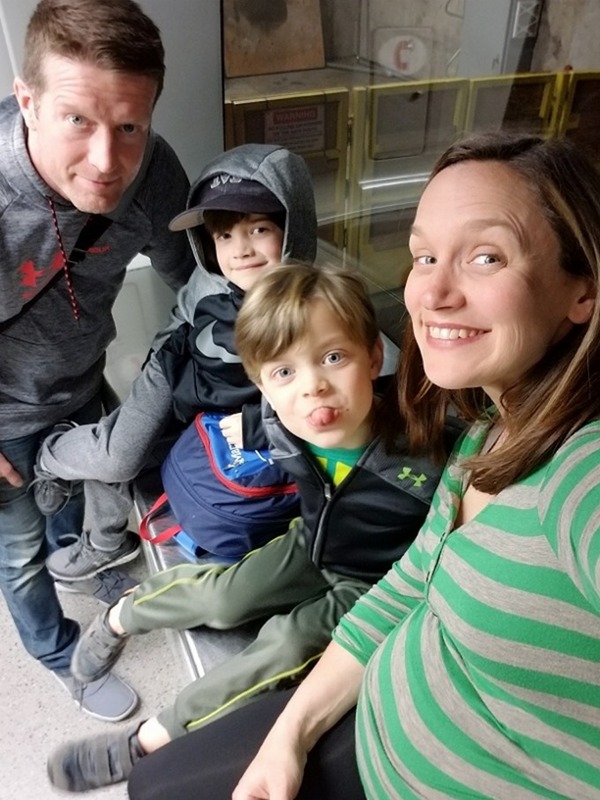 We were all in desperate need of some sunshine and some healthy family fun together, so we decided to take a last hurrah as a family of four and go escape to warmer weather for a few days. Boy was it needed, and so so worth it! We were up at the crack of dawn on Saturday morning to catch a 6am flight. The boys were SO excited. We travel a lot to see family and for our annual extended family trips, but we haven’t actually gone anywhere just the four of us since we went to LA back in 2015! The airport was a complete disaster. Security lines were wrapped all the way around the place and there were a total of maaaaybe three people working. And despite our very early wakeup and arrival there, we ran to our gate only to discover that our plane had mysteriously taken off ten minutes early. Not a great way to start the trip! They offered to put us on a 2pm flight (8 hours after our scheduled departure) and we were seriously bummed. We decided to try for standby on the next (already full) flight, and crossed our fingers. Two hours later, we snuck into the last four seats in the back row, and we were on our way! 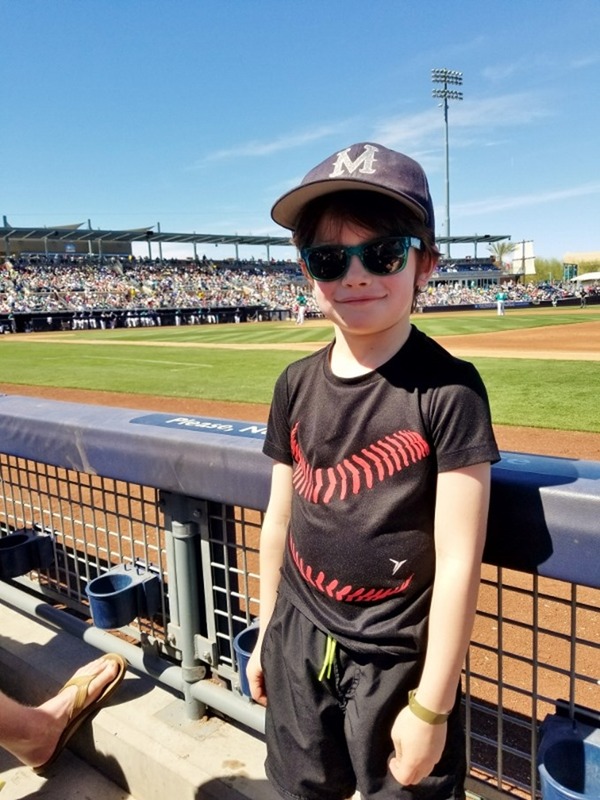 We landed in Phoenix a few hours later than expected, but that didn’t stop us from heading straight to the main reason we’d booked the trip – spring training! We got there just in time for the game to start – Mariners vs Oakland A’s. 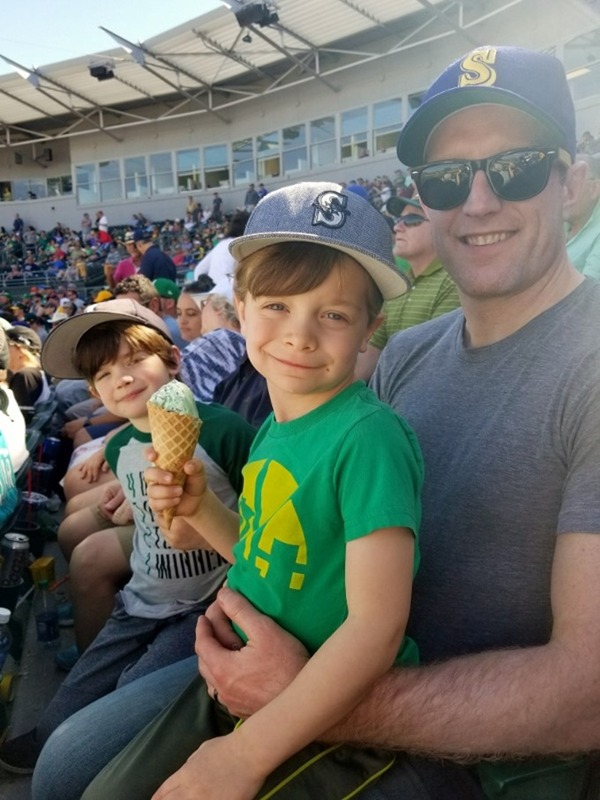 This was our first time ever going to spring training, and all four of us loved it. The ballpark was small and super low-key, the crowd was mellow, the food was good, and the weather was perfect. We stayed for the whole game and then eventually made our way to our hotel to finally check in. 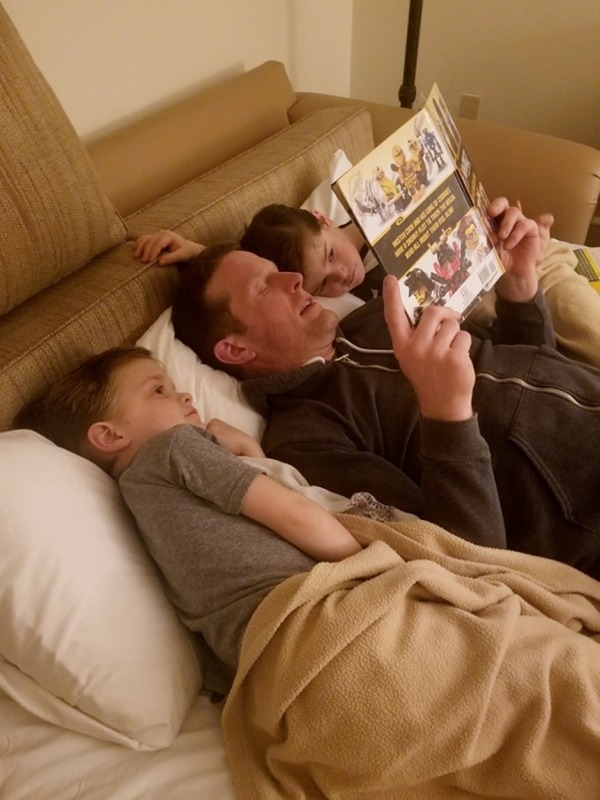 We got to our room just before dinner time, had a bit of time to explore and eat, and then it was time to crash after a day of travel and fun. 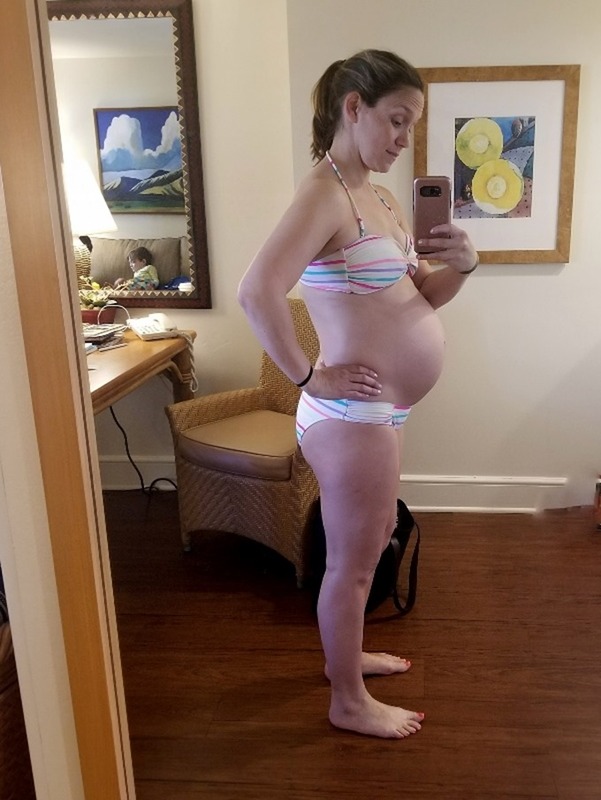 The kids were up the next morning and literally could not wait to get to the pool. It was SO NICE to wake up with no agenda and no plan and no stress. 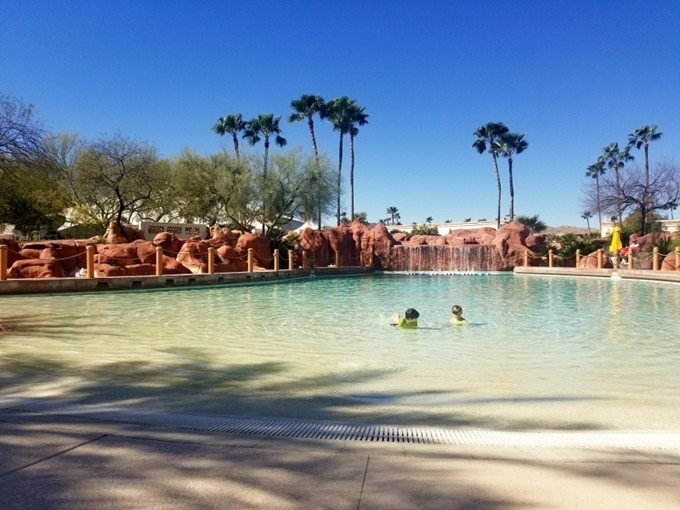 This was our first time ever in Arizona, and we stayed at the Arizona Grand Resort and Spa. We picked it just based on availability, price, and googling and we were really happy with it! 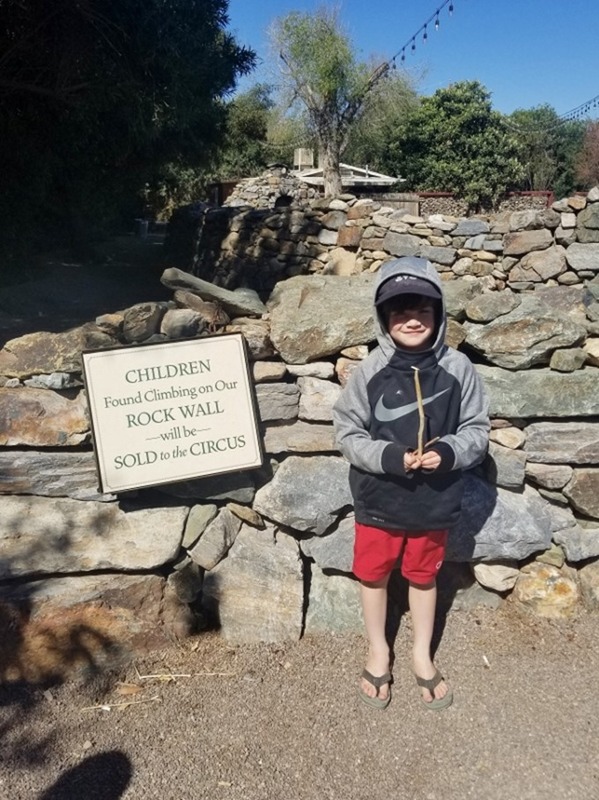 The grounds were beautiful, the room worked really well for our family, and it pretty much blew the kids’ minds. We realized that in all our travels, I’m not sure we’ve ever actually stayed at a hotel with them! 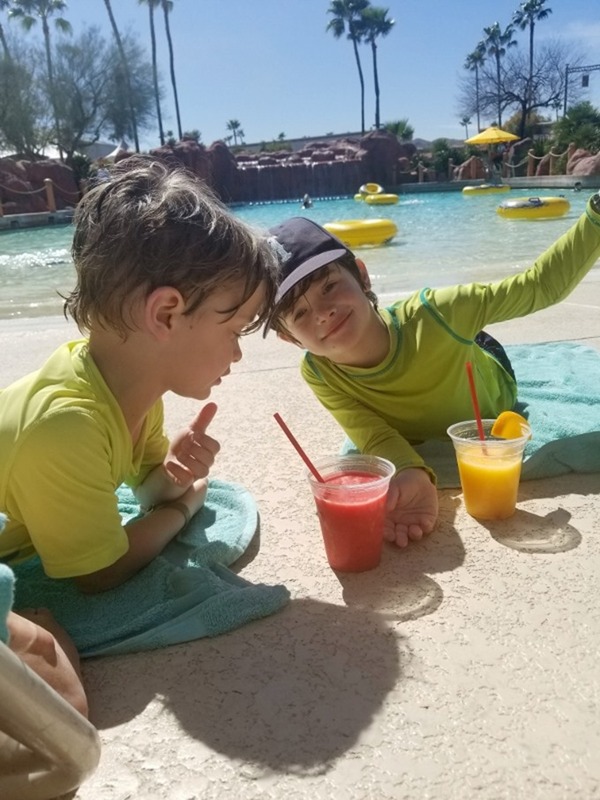 The whole concept of the resort and the restaurants and activities was just so much fun for them, and it was a treat for me and Casey to see them enjoying it so much. We had breakfast at the hotel and then went back to our room to get ready for a few hours at the pool. I did my part to scare everyone away with my massive stomach. The setup at the pool could not have been better. There was a “wave pool” that was broken (so no waves) which was perfect for our kids ages and swimming abilities. Basically an enormous pool that was almost all shallow enough for them to stand, which meant Casey and I could sit and watch them splash and have fun without having to be in the water with them the whole time. It was a dream! 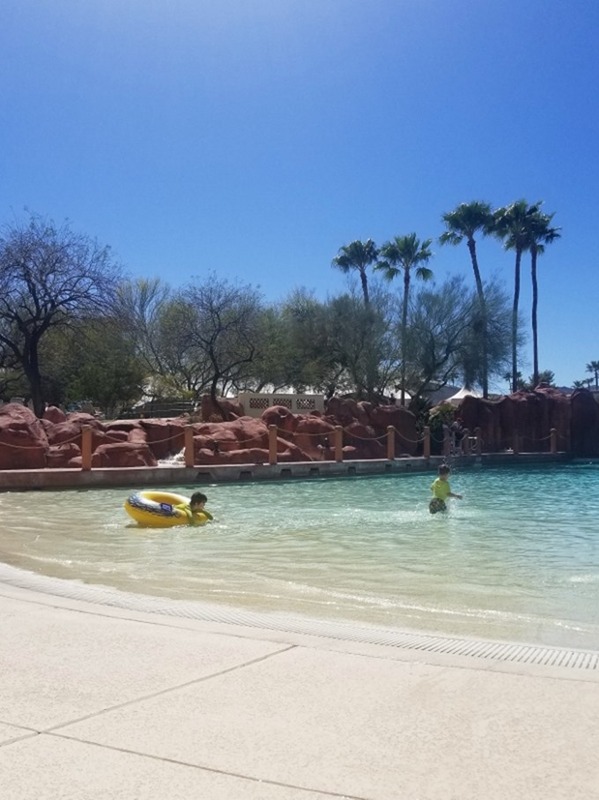 We had a few hour at the pool before hitting our second spring training game – Mariners vs. Indians! This one was at the Mariners stadium, so it was fun to see a different facility and all the mariners home perks. We also had killer seats in the front row! And I got a delicious veggie burger with fries for lunch. 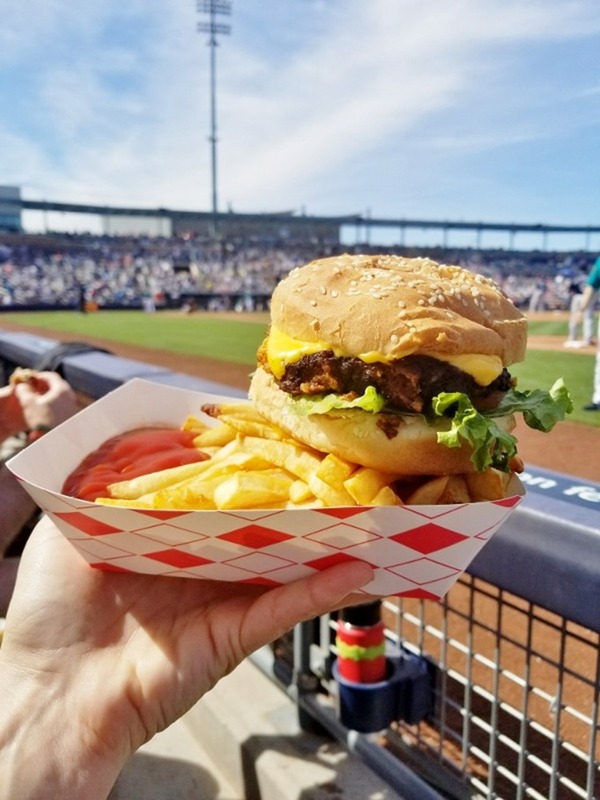 Baseball games are all about the food, right? Doesn’t get any better than this for tiny baseball fans. 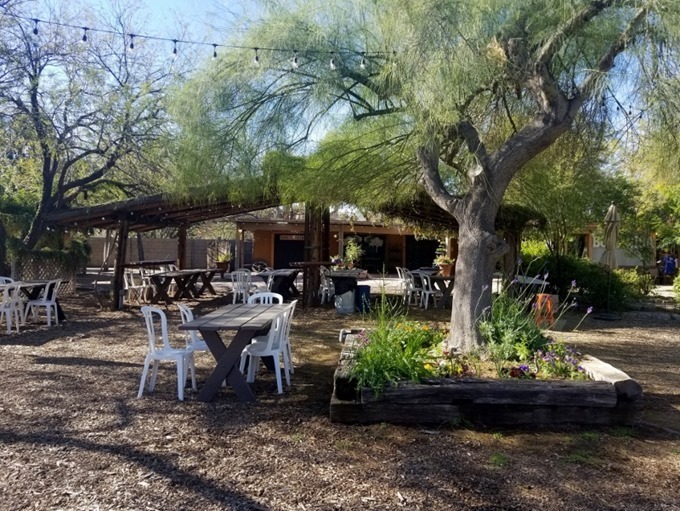 We had dinner out at a delicious restaurant called Flower Child, that was recommended to me on Instagram. It was seriously delicous and I wish I’d taken a picture of my yummy tofu wrap. Highly recommend! 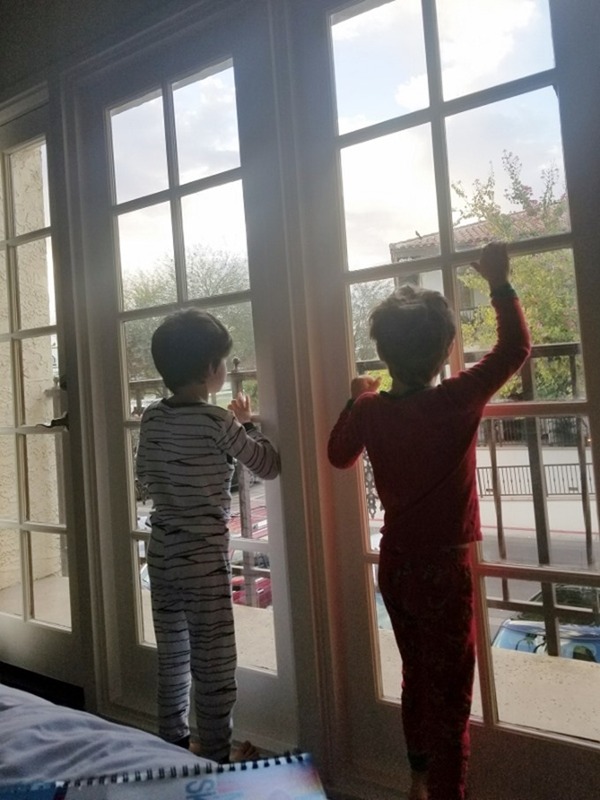 Back in time for kids’ bedtime and adults “hang out on the balcony” time. 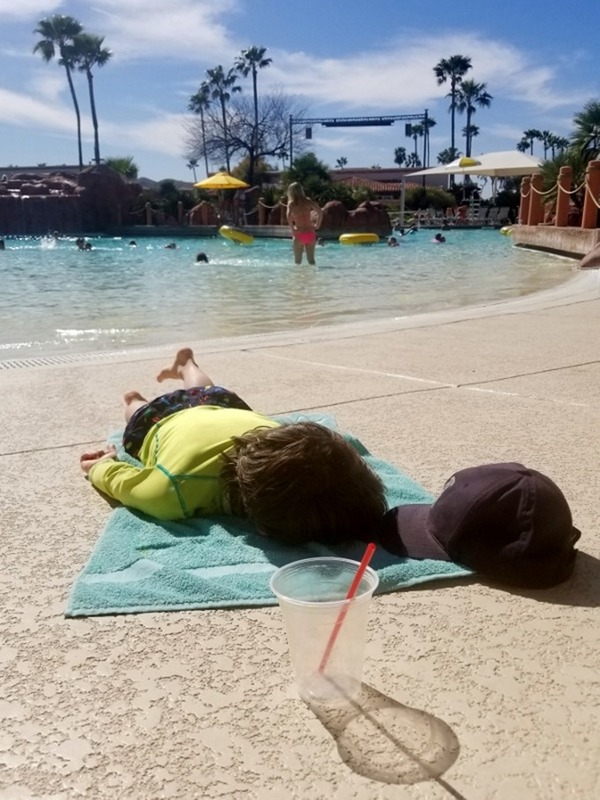 The kids are at the BEST age for travel – so, so easy. They just flopped onto the pull out sofa and went to bed easily after a day of activity and sunshine. Monday was our third day there, and I really wanted to do some sort of local adventure. 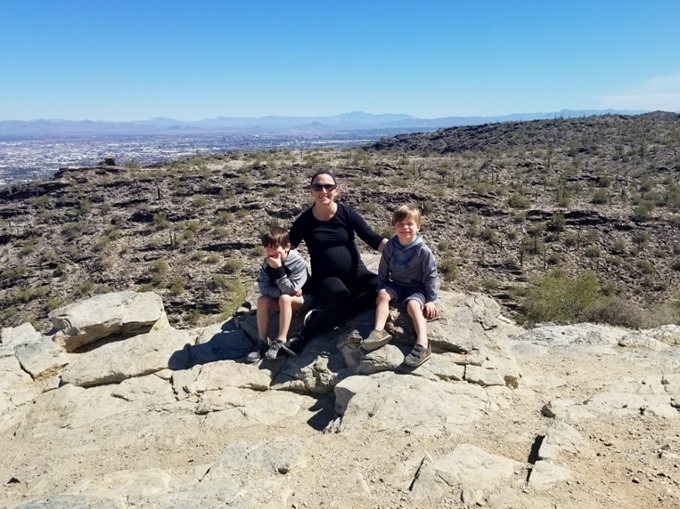 I knew a real hike was out of the question since the kids weren’t likely to last long, but I still wanted to check out some of the natural southwest scenery. 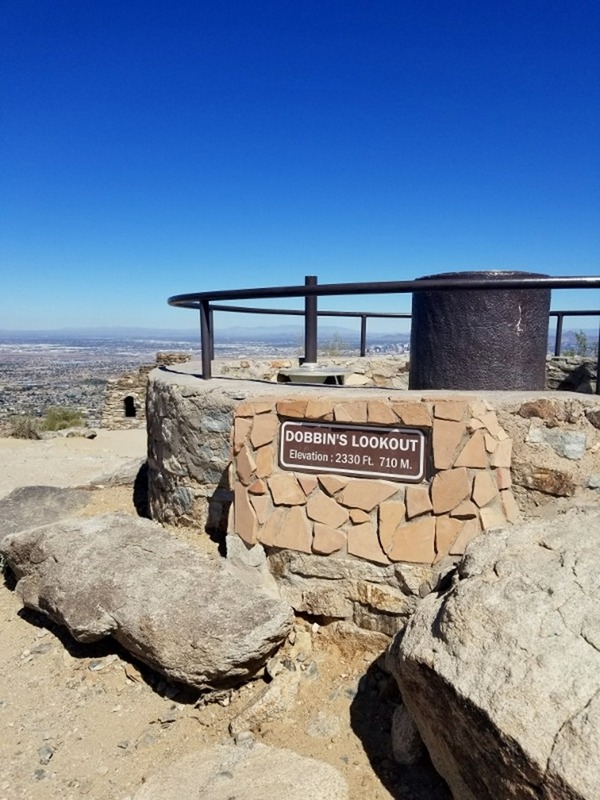 We drove to South Mountain Park and headed all the way up the 5.5 miles to the top to Dobbin’s Lookout. 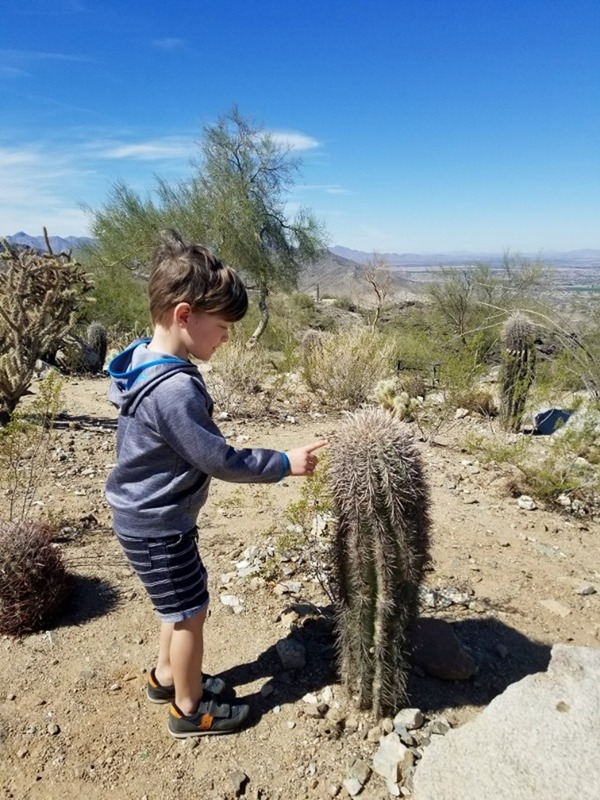 It was absolutely gorgeous and provided lots of opportunities for one of the highlights of the trip for the kids – to “touch a real cactus.” It’s the little things! It was the perfect morning adventure, which we followed with a long afternoon at the pool. The kids stayed in the water for five hours and barely came out for a lunch break. Check out my giant lop-sided belly! As much as I love swimming with the kids, letting them have independence and freedom in the water was so much more fun for everyone. They made new friends, played with rafts, and just felt super comfortable and playful in the water, which was a real treat for everyone. Cullen is a decent swimmer, and while Graham is very comfortable going under the water, he can’t actually swim much at all. Really hoping a few weeks of swimming lessons in June will have them both swimming well for this coming summer! Living it up on what should have been a school day. And totally wiped out by the sun and the fun! 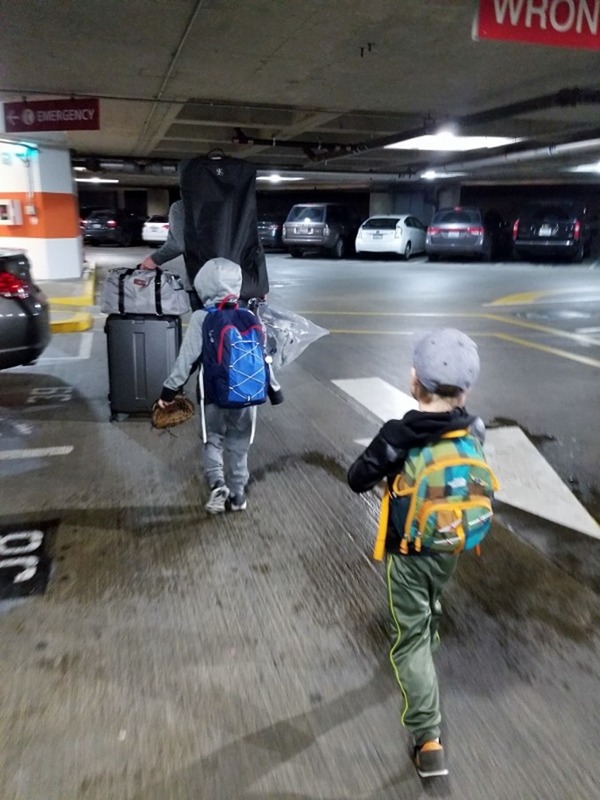 That evening, Cullen and Casey headed out to their third and final baseball game – Mariners vs. Angels at the Angels ballpark. Graham and I went out to dinner just the two of us for a fun little date! 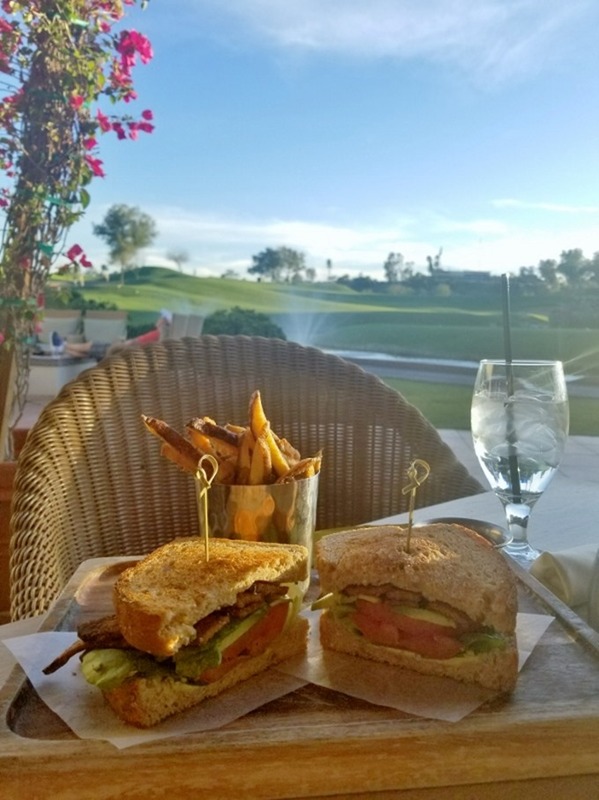 Delicious vegan BLT with tempeh bacon and avocado and a side of yummy fries (so many fries). 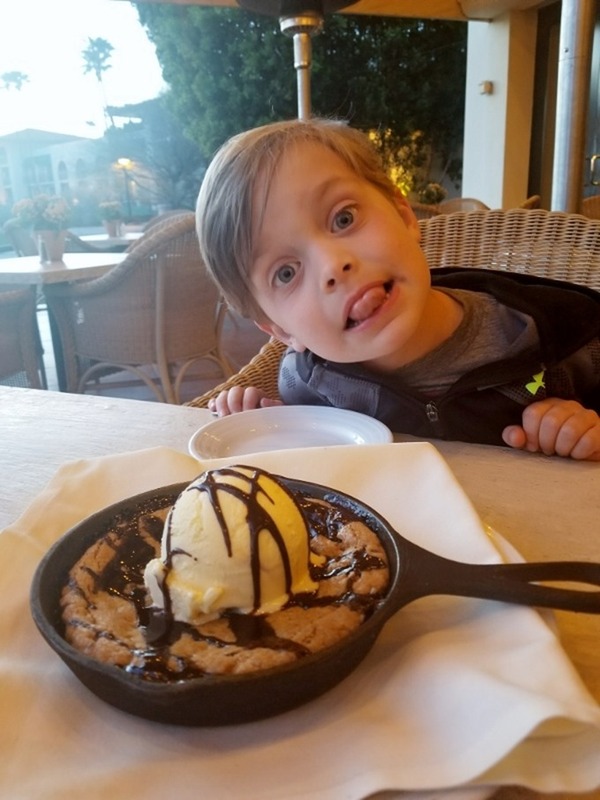 Followed by an outrageous warm oven-baked cookie topped with ice cream for dessert. We had to get a box to take half of it home! 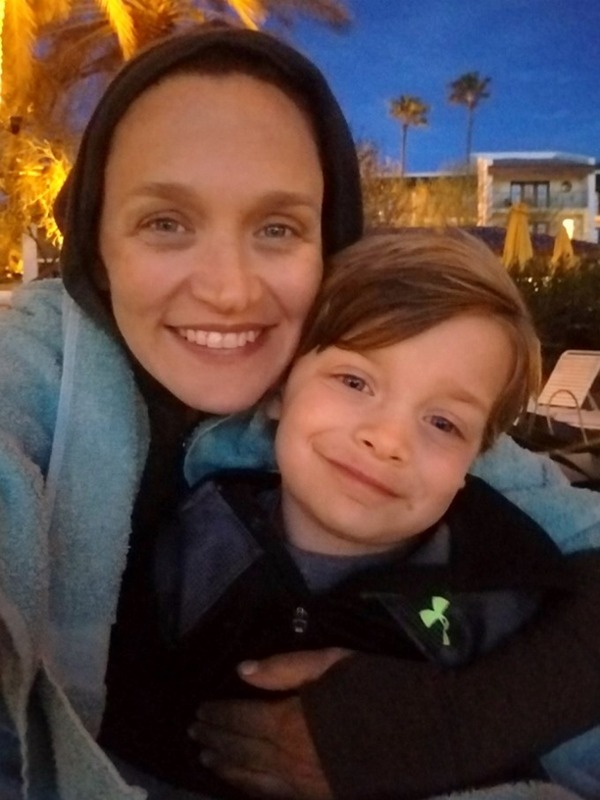 Finished up my evening with my little guy at the pool for the kids’ movie under the stars. 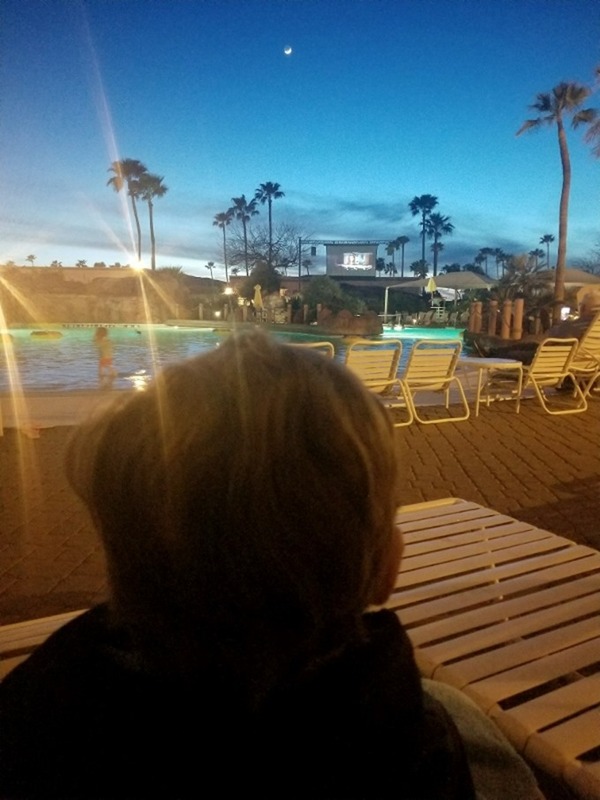 They had a big movie screen over the pool playing the Lego Batman movie, and he could not have been more excited. It was really fun to do simple (free!) stuff like this and see just how happy it made the kids. It was the perfect opportunity to just slow down and enjoy some really quality time together. 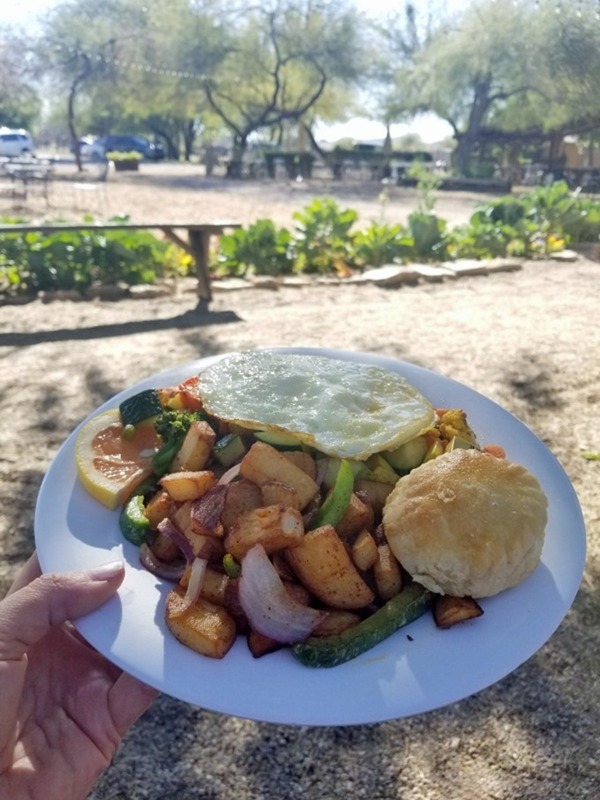 Tuesday was our last day in Arizona, and we headed out to breakfast at a super adorable spot called The Morning Glory Café . 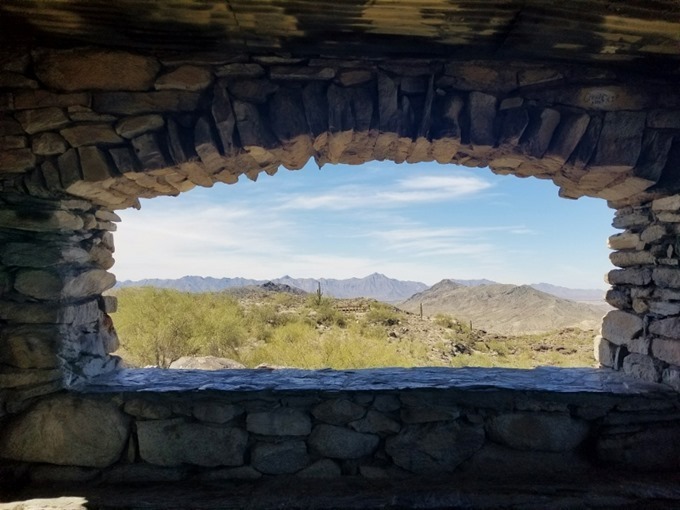 It was on The Farm at South Mountain, and the entire place was a gem. Dreamy lights and gorgeous greens everywhere, and charm at every turn. Also, DELICIOUS food. I wish we’d discovered it earlier in the trip so we could have gone back a second time! We came home to Seattle early Wednesday morning feeling really close as a family, and really excited for the adventures up ahead. And now that we are back reality is hitting home in big ways. We are having a baby and it will be SOON! 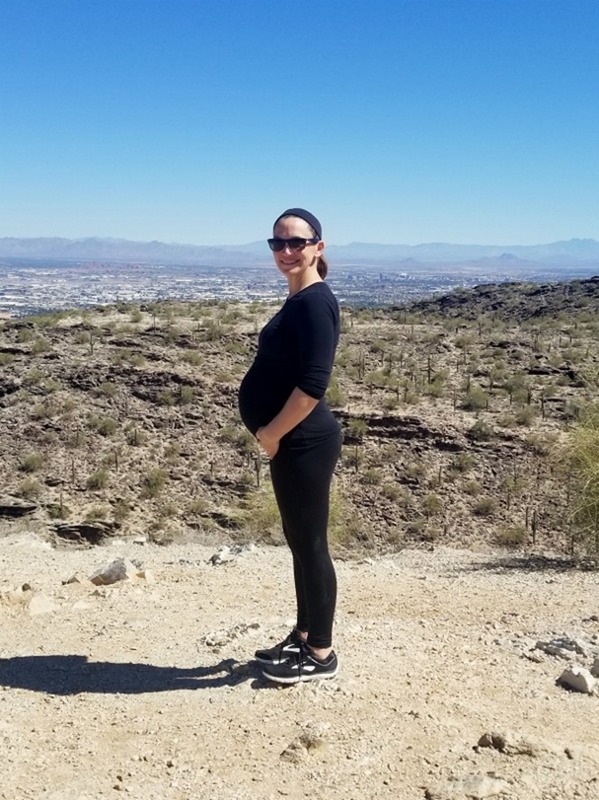 Pregnancy update coming up next week for you guys – I’m suddenly enormous and really slowing down. But for now I’m off on one last trip before baby – a girls’ night in Portland with my mama crew. Have a great weekend! 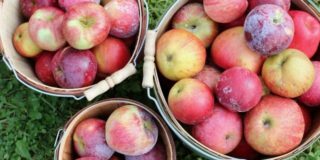 Next Post » Blue Apron Basics. as a baseball fan, this looks like absolute HEAVEN. The resort looked awesome, too! 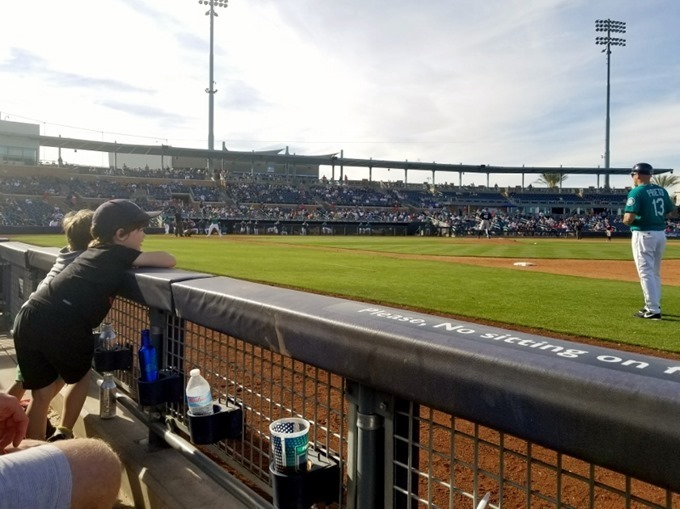 I’ve never actually done spring training – bucket list for sure! Adorable baby belly! What a fun family vacation! I’ve never been to Arizona. Sounds like an easy getaway to see some much needed sun. Ah, Spring Training is so fun. I have been on two trips – once with all couple of girlfriends and the other was on my honeymoon. My husband and o initially hit it off, because we were both Mariners fans. Now we live in Texas. So rarely see their games on TV. But I will always be a loyal Seattle Mariners fan. 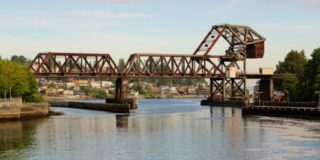 Your trip looks like it was so perfect for all four of you. Well, five, because a relaxed mama is good for the baby, too! 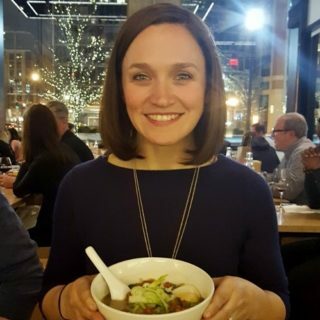 Emily-this post is giving me hope. Our two boys are a disaster to travel with (3.5 and 18 months) and this makes me really look forward to future adventures. 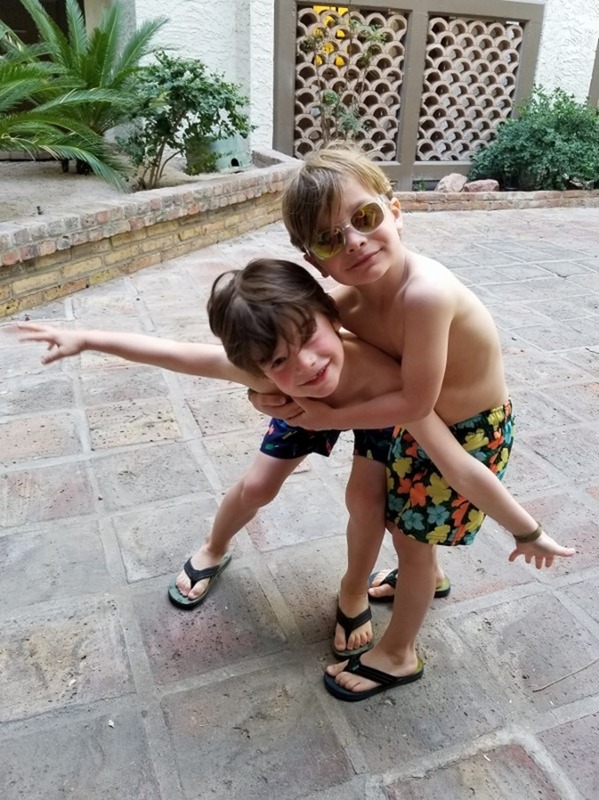 A question on a very minor piece of this great postbut what kind of flip flops are your boys wearing and wouldyou recommend? How awesome! 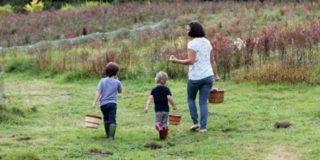 It sounds like a perfect family getaway! I am so looking forward to taking our troop out this summer since the baby is now (almost) two and the girls are 6 and 4! 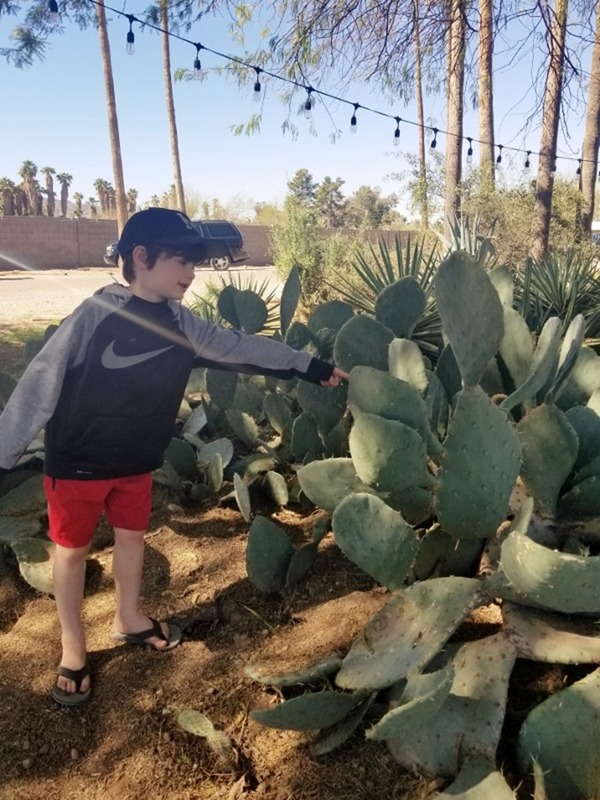 I grew up in a desert climate, and we had cacti in the backyard, so it’s really cute and hilarious how excited your boys were to see/touch a ‘real’ cactus! Thanks for sharing, and glad you all had such a great time. 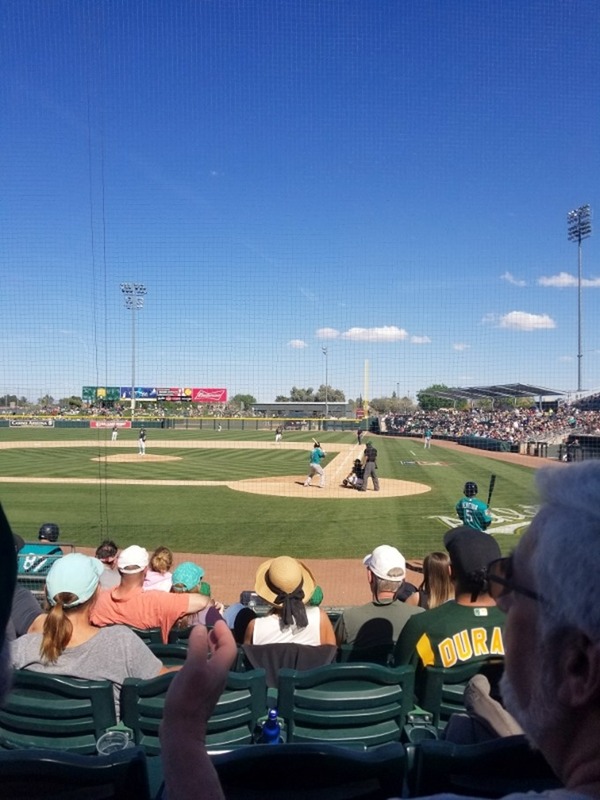 My husband and I decided Mariners spring training is a must for us now based on your photos. 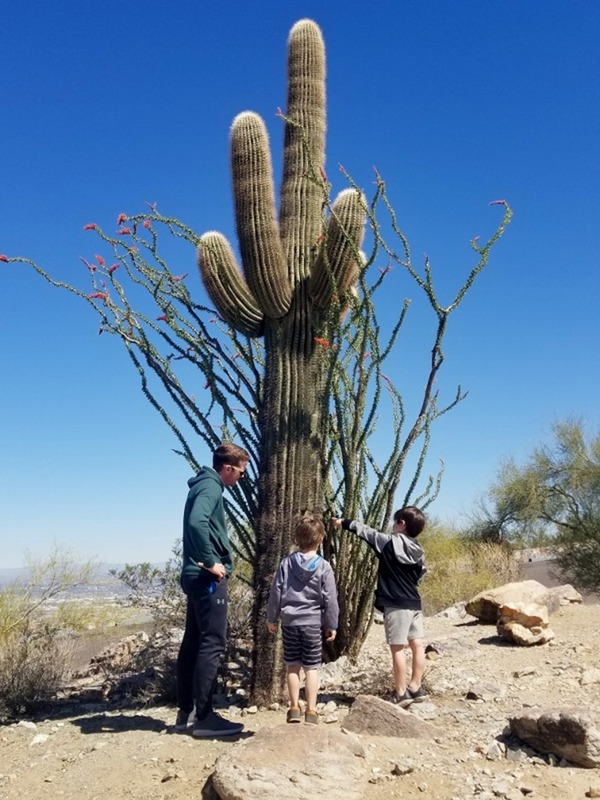 As a original Floridian now a Seattlitte I’ll be looking forward to exploring the Cactus League with my husband and little guy. 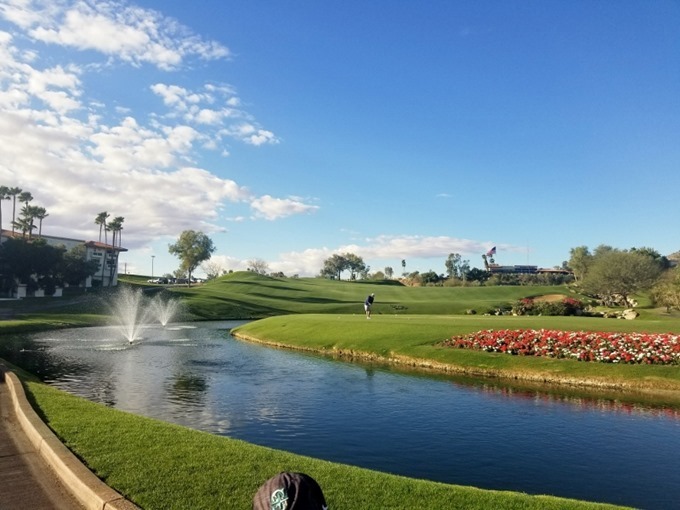 I’m from Phoenix so it was extra cool reading this post! Flower Child is one my favorites, such yummy food!!! You would’ve loved Pomegranate Cafe too! So fun. 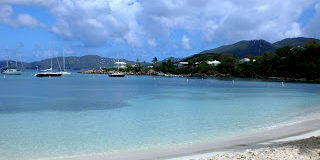 We went down Tuesday evening and just got back last night, staying with my mom. We went to one game in Surprise, which is her local field. The boys (4 & 2) had a great time too, the pool was a big hit for the little guy. Glad you guys enjoyed it too. 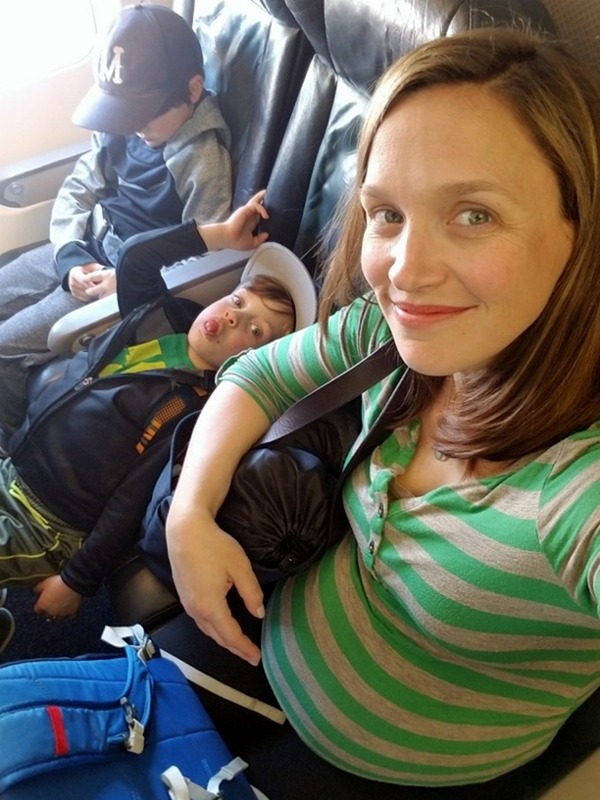 Did you have any trouble with the airline since you are in your third trimester? I know they sometimes make expectant mothers submit doctor’s notes. Looks like a great family trip! The boys look so happy and big here! 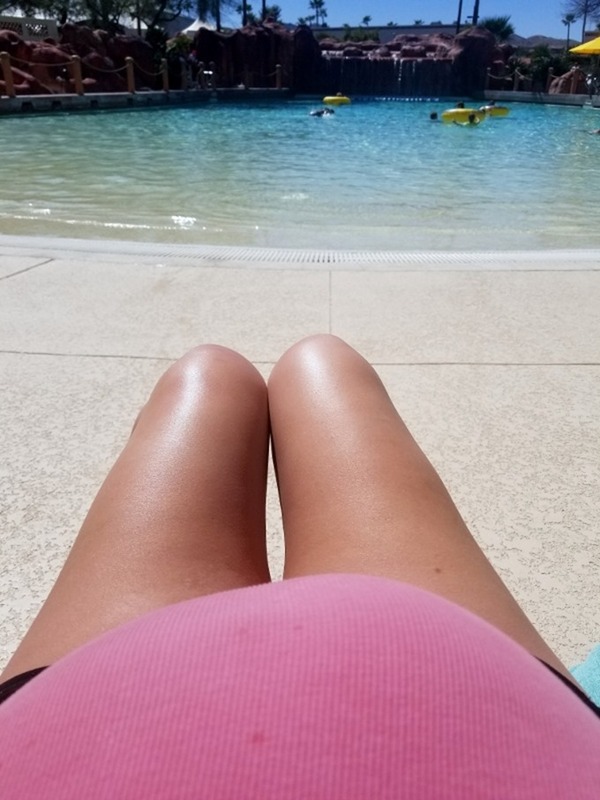 I’m dying for a pregnancy update…any chance you’ll be posting one soon?